We appreciate your interest in our inventory, and apologize we do not have model details displaying on the website at this time. Please fill the form out below and our team will quickly respond, or, please call us at (808) 930-2500 for more information. If you’re searching for a capable crossover SUV, you needn’t look any further than Big Island Honda. From our two locations—one in Hilo and the other in Kailua-Kona—we offer 2017 Honda SUV models with excellent fuel-efficiency, cutting-edge tech and safety features, and available AWD. Whether you’re intrigued by the fuel-friendly Honda CR-V, or the eight-passenger Honda Pilot, we’re sure you’ll find what you’re looking for in our impressive inventory! SUVs offer a variety of benefits you simply can’t get with a compact car. For starters, SUVs are roomier. So, when you and the kids hit the beaches in Waoimea, you’ll have plenty of room inside your Honda HR-V or Pilot. And since SUVs are built to tow, you can bring along a jet-ski or small boat. Safety is another check for SUVs. It’s easy to find a car with great safety ratings, but none provide the security that comes with driving a larger, sturdier vehicle. In an accident, SUVs put a stronger barrier between you and another vehicle. Schedule a test drive with one of our 2017 Honda SUV models right here at Big Island Honda, located in Hilo and Kailua-Kona. We proudly serve drivers from Kamuela, Waoimea, and other communities on the Big Island! 2019 Honda CR-V LX vs. EX: What’s the Difference? 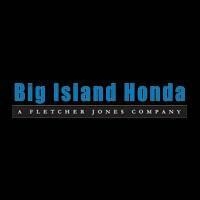 Big Island Honda in Hilo & Kona	, .